WOW!! You certainly are beautiful!! You look simply gorgeous, almost like a bride. What a beautiful picture... Darn I could fit my arm through your earrings! LOVE Ittttttt! Beautiful picture!!!! Love it and the new button!!! Beautiful picture! Have a great rest of the week! Beautiful picture!! 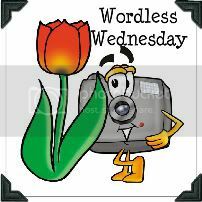 I'm new to Wordless Wednesday. Just submitted my link and following you now. Have a fabulous day!! So pretty! When will we ever get to see all the pictures from one of your shoots? And what was it for? I think ou shold do a post and tell us more about that! You are such a stunner Java! what a beautiful picture! Love it!